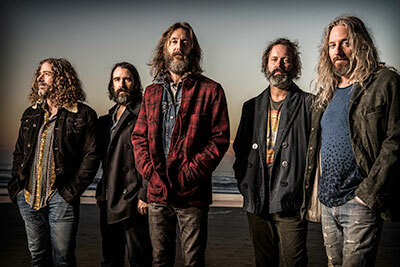 The Chris Robinson Brotherhood are on tour in support of their latest studio album 'Barefoot In The Head.' and will have a performance on Tuesday, November 27 at the Bing Crosby Theater. Their new album, 'Barefoot In The Head,' marks the CRB's third studio release in just two years. With the band's infectious energy, the album showcases the continued growth of Robinson's songwriting partnership with his bandmates: guitarist Neal Casal, drummer Tony Leone, keyboardist Adam MacDougall, and bassist Jeff Hill. Throughout the album, Robinson and the band intertwine country, blues and psychedelia. The CRB are joined by the celebrated sarodist Alam Khan, son of the legendary Ali Akbar Khan. Showtime is 7:30pm. For tickets, visit bingcrosbytheater.com. For more information on Chris Robinson Brotherhood, visit chrisrobinsonbrotherhood.com.